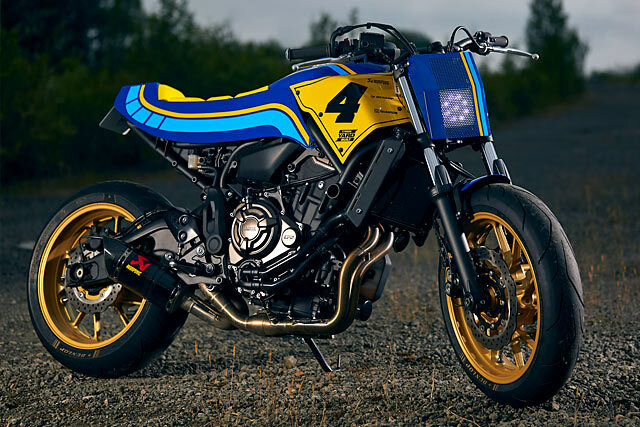 Today we are featuring Russell Motorcycles' Yamaha Yard Built Project - Resilience.The stock bike for this project is Yamaha XSR700. 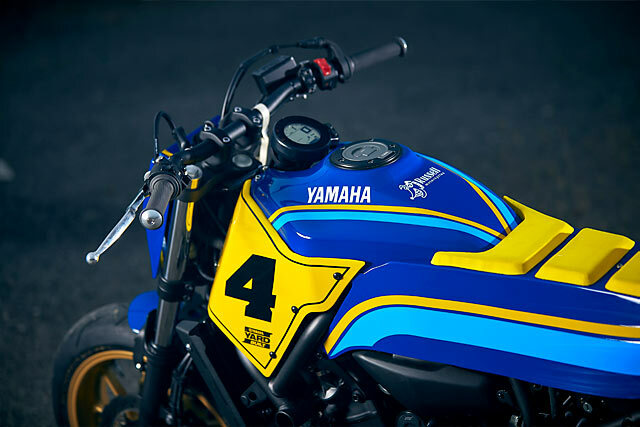 As Yamaha considered Russell Motorycle for the Yard Build Project. They started with various possibilities of creating a "show bike" or a "radical built not street legal" or something that they can ride with which could be a radical but having the opportunity of passing all the technical controls requested to drive in the roads. That was it. They dismantled the whole bike and decided not to cut anything of it. They used the original inner gas tank but with modifications. 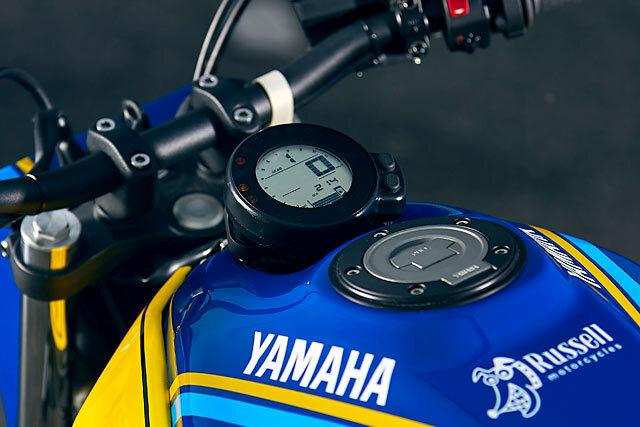 They retraced the gas cup rear and where it was located they managed to use that space for the speedo taking it out of the handlebar. As the tank was in place they started with the rear end. The seat is an EVA foam which they cut to make it fit. Then they moved to the side panels which are made of steel. This was the most hard part to design and make them fit. For the front light also a steel frame with LED light fitted perfect in the original shape of the bike. 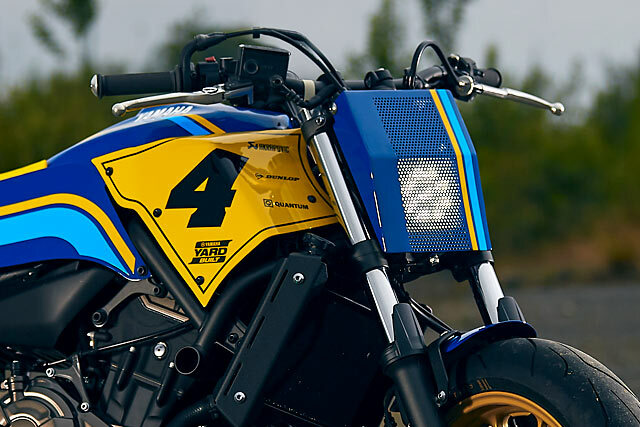 They contacted Akrapovic, they supplied them a new exhaust for the XSR that gives the bike a perfect look. Dunlop also wanted to be part of it and gave them the Dunlop Sportsmart TT tires which have awesome grip and look. Color is inspired from the Gauloises racing teams of the 80´s.